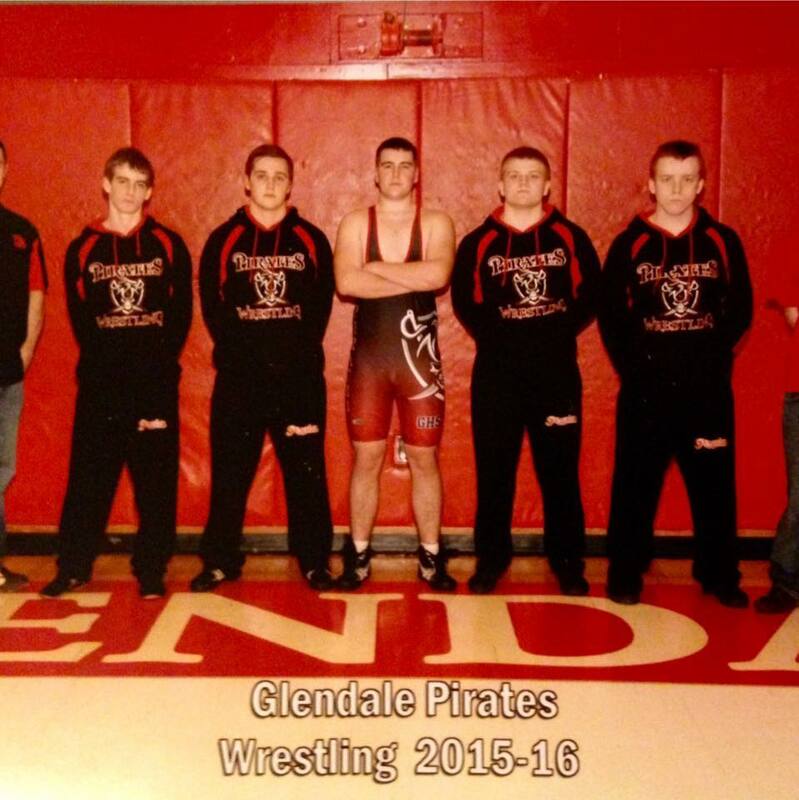 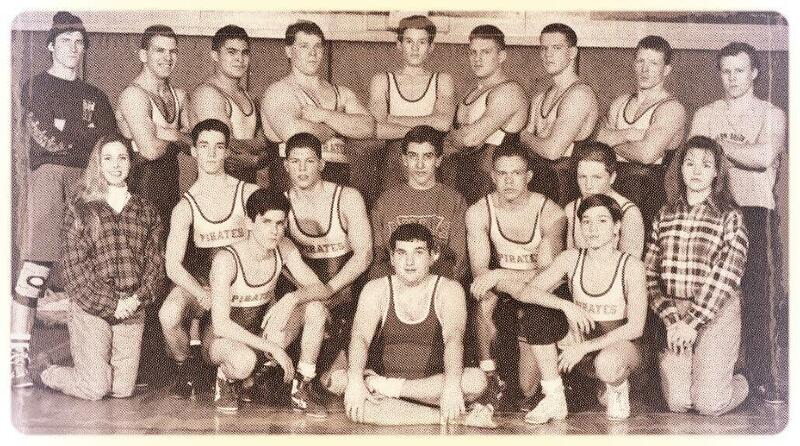 If you have photos of old alumni wrestlers please feel free to send them in! 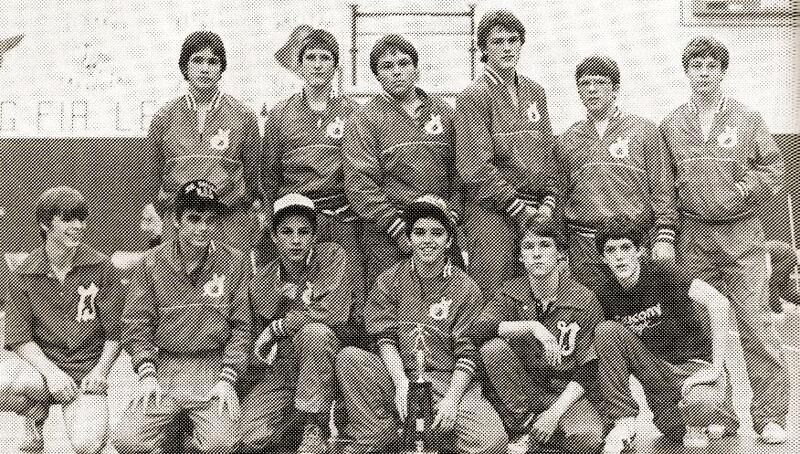 Above, Right & Below is Kevin Kimber in the early 80's. 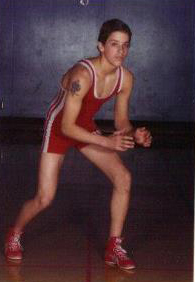 Photo's sent in by his daughter Erin. 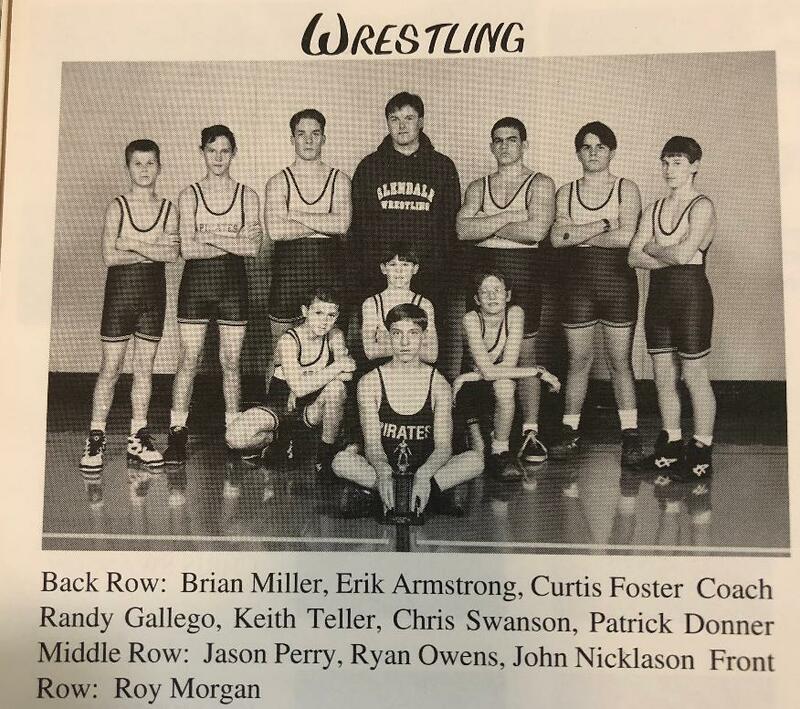 Kevin now coaches wrestling in Cordova, Alaska. 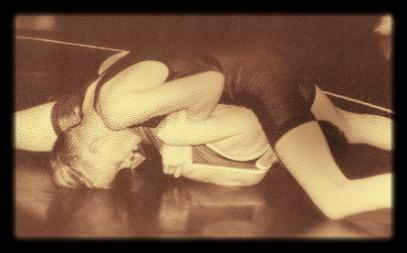 Bill Pappas wrestling in his 1995 Season. 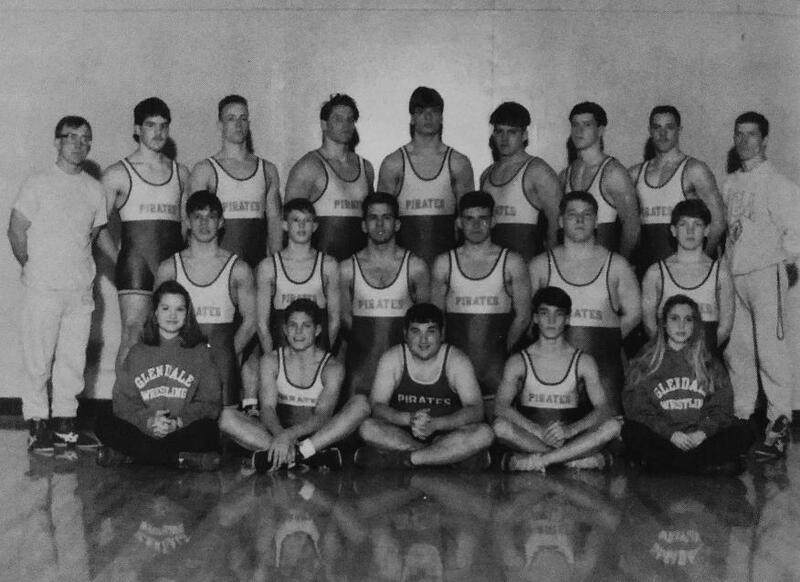 Top Row: Dave Remsh, Greg Bess, Nate Bresnan, Kevin Elst, Tim Krueger, Mike Prohoroff, Jeremy Kirkland, Jesse Hardin, Coach Burgess. 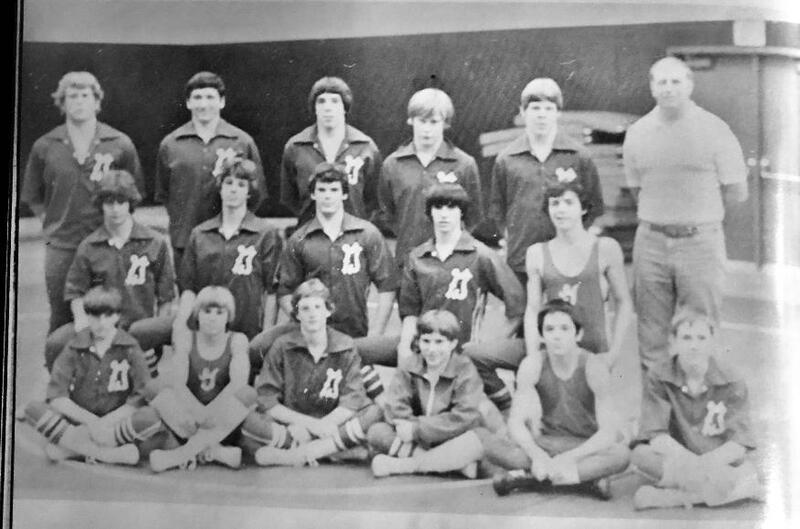 Middle Row: Beth Cline, Mike VanGundy, Nick Cline, Andy Harrison, Mike Bresnan, Robbie Hissong, Michelle Prohoroff, Bottom Row: Jim Bess, Danny Rhodes, Jason Larios. 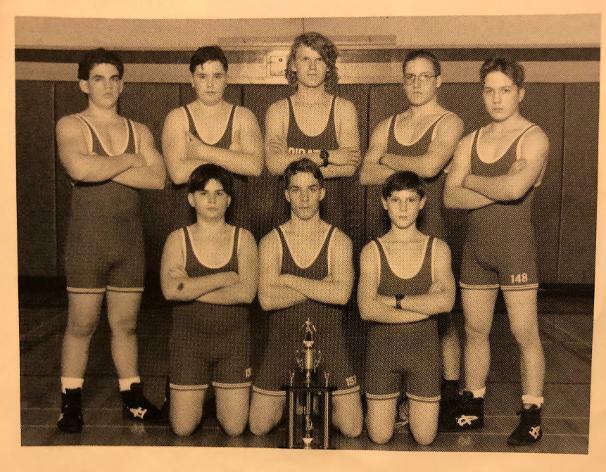 Bottom Row: Michelle Prohoroff, Nick Cline, Danny Rhodes, Mike Van Gundy, Beth Cline. 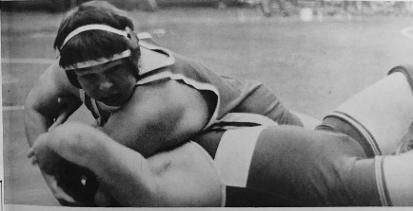 Above: Steve Vaughn was a Strong contender for Glendale in 1986. 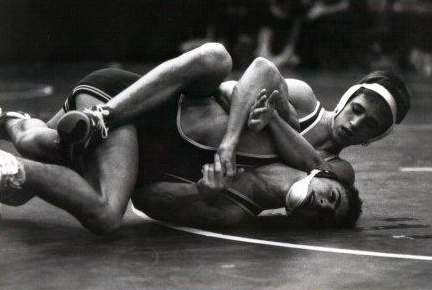 Above: Charan Cline in 1986 Junior year. 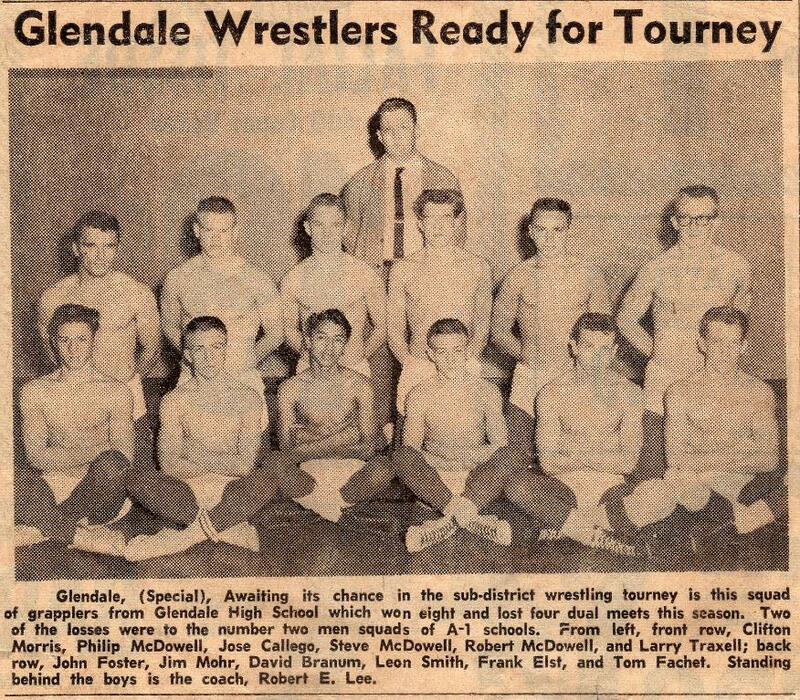 Above: Josh Forrester one of Glendale Mat Clubs original members became a two time State Champion. 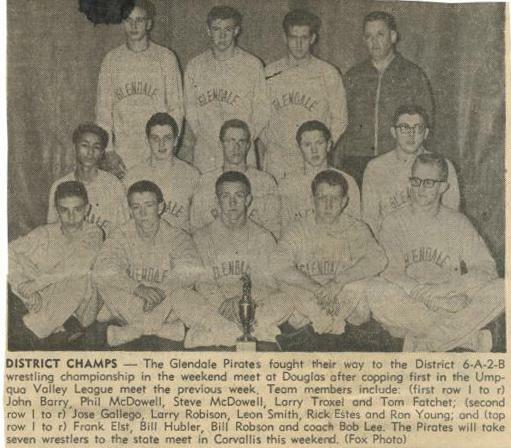 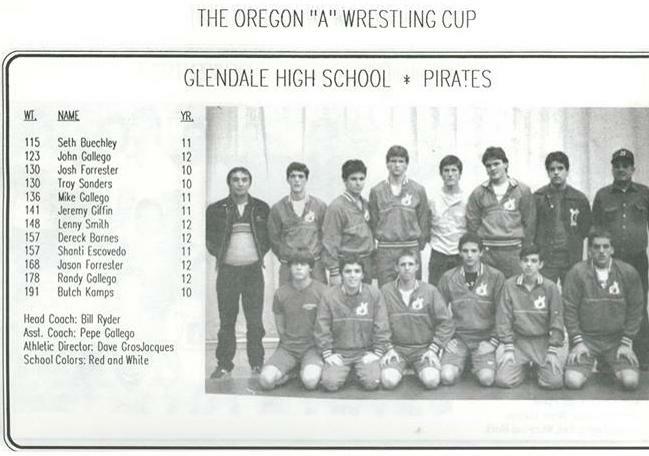 Left: Charan Cline graduated from Glendale in 1987 and was an outstanding wrestler for the Pirates. 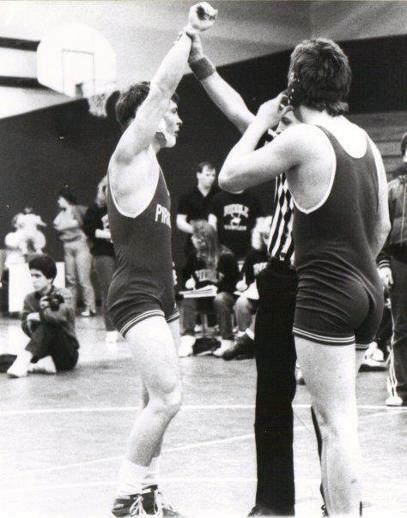 Right: Jason Forester's senior year he had a controversial match with the defending State Champion at 178 lbs. 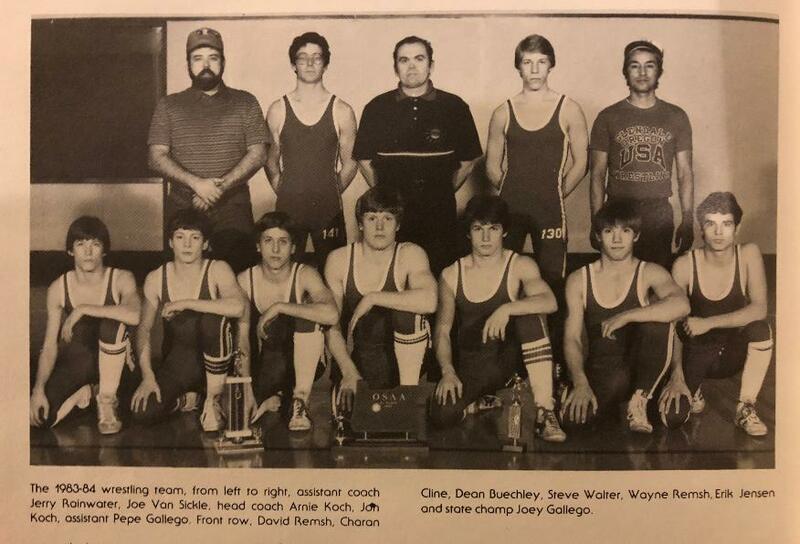 He lost by 2 points in the final seconds and had to fight his way back through the consolation bracket to settle for a third place finish at the 1988 State Championships. 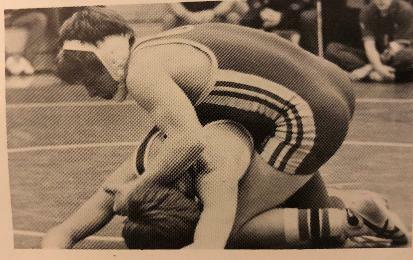 Above: Randy Gallego in 1986 Sophmore year.